Join NZAF and PrEPing NZ for an informative, social and fun evening to learn more about PHARMAC’s consultation on PrEP funding. 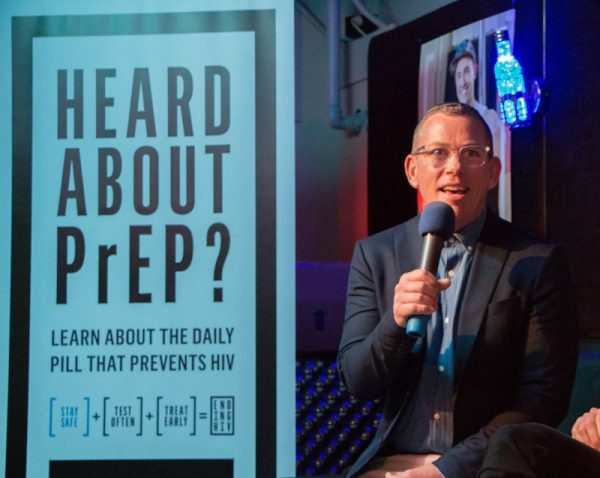 PrEP (Pre-Exposure Prophylaxis) is a revolutionary one-pill-a-day HIV prevention tool. With PrEP becoming increasingly available for those who need it, it’s now an essential tool in our goal to end new HIV transmissions by 2025. The evening will begin with NZAF Executive Director, Jason Myers, hosting a panel consisting of a current PrEP user, a medical expert, and NZAF Operations Director, Joe Rich. The panelists will provide vital information and answer questions about PrEP and its accessibility in Aotearoa. Following the panel, there will be an opportunity to mingle with PrEP users, NZAF staff and other members of the community to continue the discussions. Accompanied by nibbles and drinks, it’ll be the perfect time to chat about PrEP and have any of your questions answered. Free HIV testing will be available from 6.30pm, so you’re welcome to pop in early for a test.